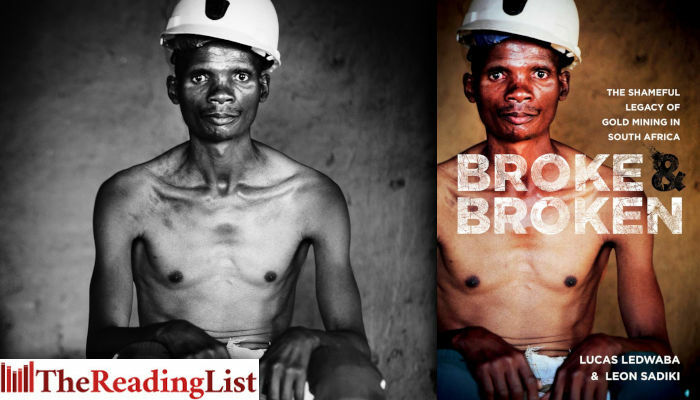 The stories in the book are told by the men from Pondoland and Lesotho, the labour reserves that oiled the gold mining industry. It delves into how, as a result of migrant labour, families were broken and how generations of families followed the well-worn path to the mines, only to return years later carrying silicosis, a disease that is incurable and leads to a slow, painful death. Broke and Broken explores how, following the deaths of their spouses, widows are left to live in deprivation and struggle to raise children on handouts, thus creating fertile ground for another generation of poor young men with no choice but to follow the same route followed by their fathers before them to the gold mines. It is a story of human tragedy, suffering and how in their quest for profit, the mining houses cared very little about the health and safety of the very men whose sweat made them millions in profit.